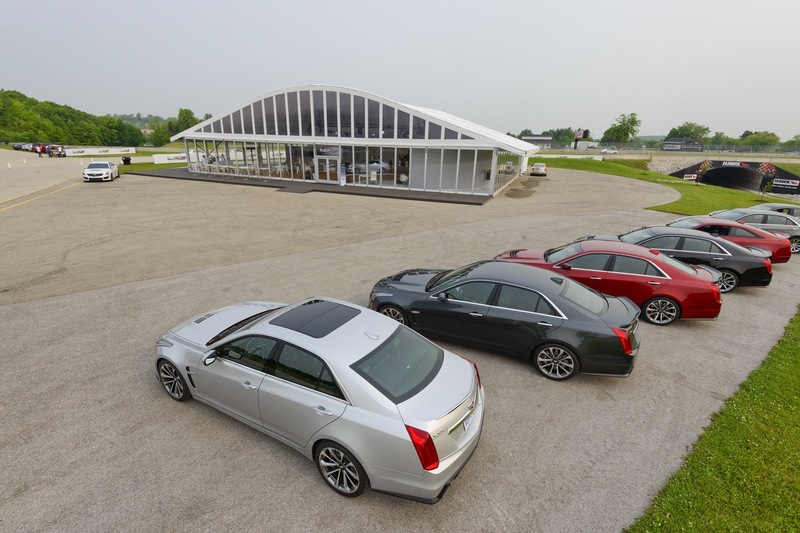 Two years after the launch of the all-new, third-generation Cadillac CTS Sedan comes the new, high-performance flagship of the CTS family — the CTS-V.
Cadillac labels the 2016 CTS-V as the centerpiece of its growing product line that builds on the V-Series legacy and leverages the strength of the award-winning CTS architecture to deliver the most capable V-Series ever. 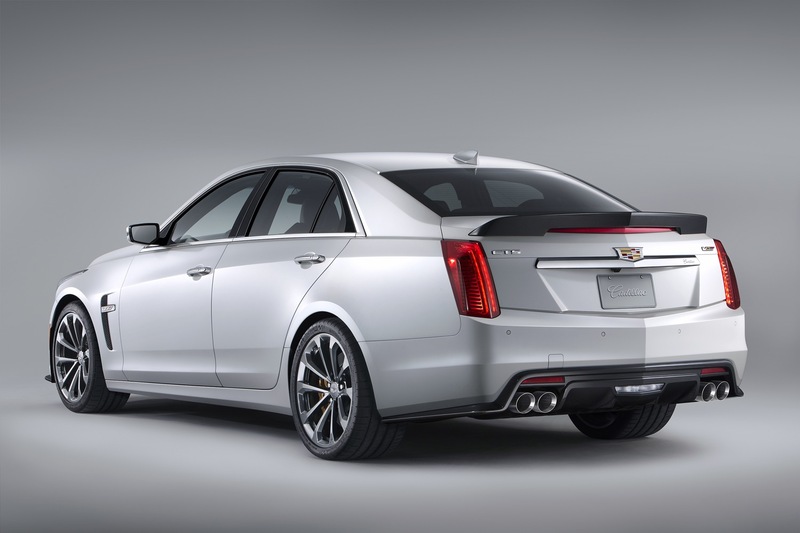 The result, according to Cadillac, is a luxury sedan with sophisticated road manners and unprecedented performance as well as true track capability straight from the factory. 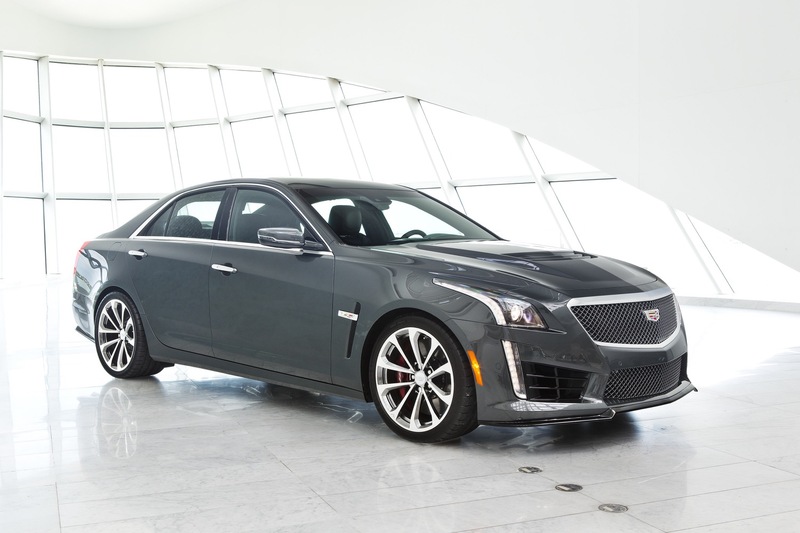 The 2016 CTS-V is the third generation of the acclaimed luxury sports sedan that launched Cadillac’s elite V-Series a decade ago – and redefined Cadillac for a new generation of drivers. 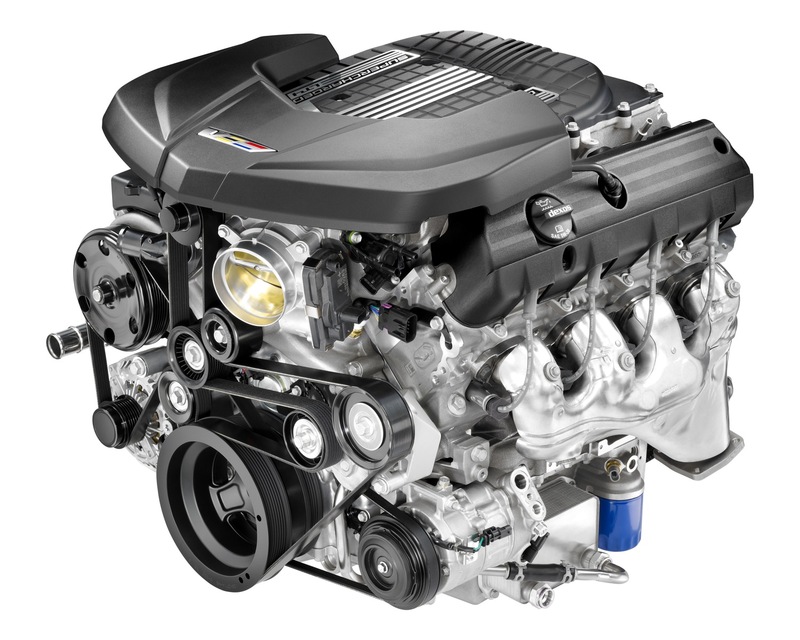 The 2016 CTS-V introduces a new supercharged 6.2L V8 engine SAE certified at 640 horsepower (477 kW) and 630 pound-feet of torque (855 Nm). 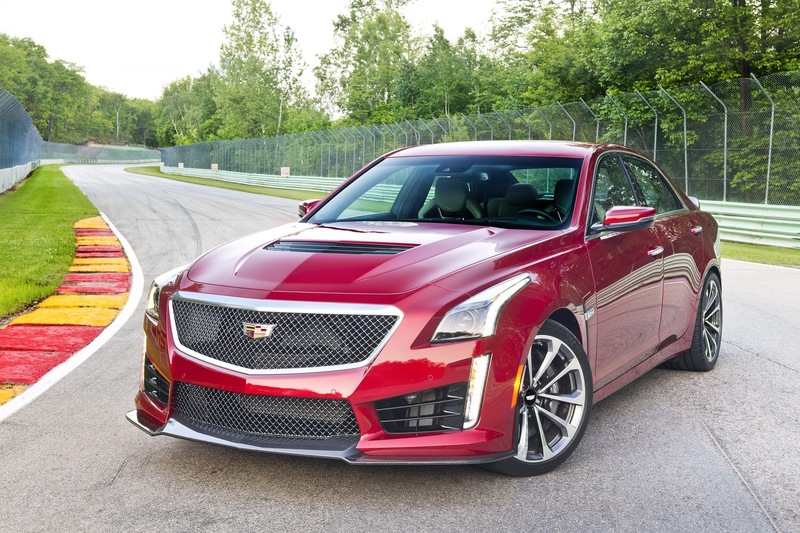 It’s backed by Cadillac’s eight-speed 8L90 automatic transmission featuring paddle shifters as well as launch control and Performance Algorithm Shifting. 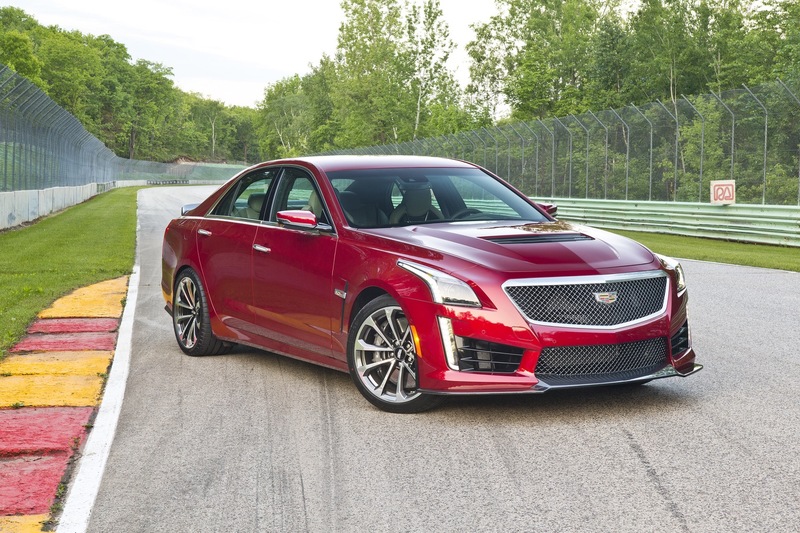 The new CTS-V has more horsepower and torque than the Mercedes-Benz 5.5L biturbo V8 and the BMW M-series 4.4L TwinPower (twin-turbo) V8, and is capable of 0-60 mph performance in 3.7 seconds and a top speed of 200 mph. 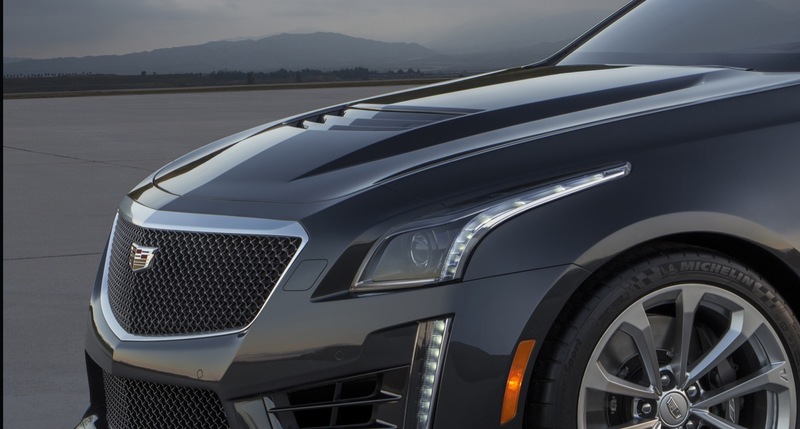 Almost every exterior panel on the CTS-V is unique, from the fascias and fenders, to the hood, rear spoiler and rocker moldings – and every one was designed to support the car’s capability, contributing to favorable aerodynamic properties that include lift reduction, enhanced cooling or both. 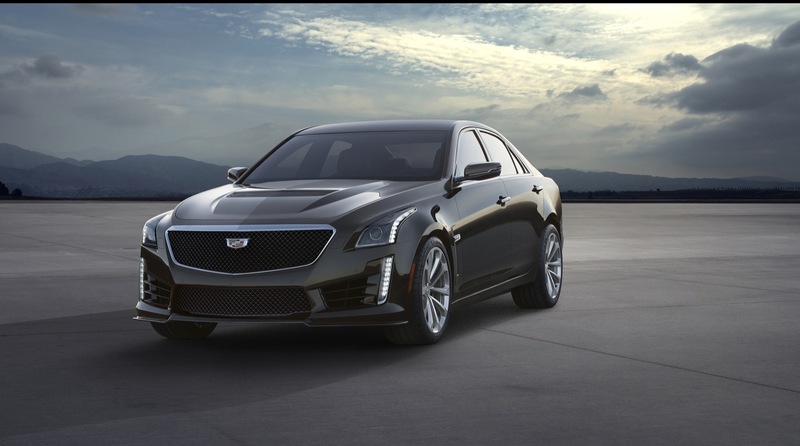 Just like the non-V 2014, 2015, and 2016 Cadillac CTS, the 2016 Cadillac CTS-V is exclusively available in four-door sedan body style. 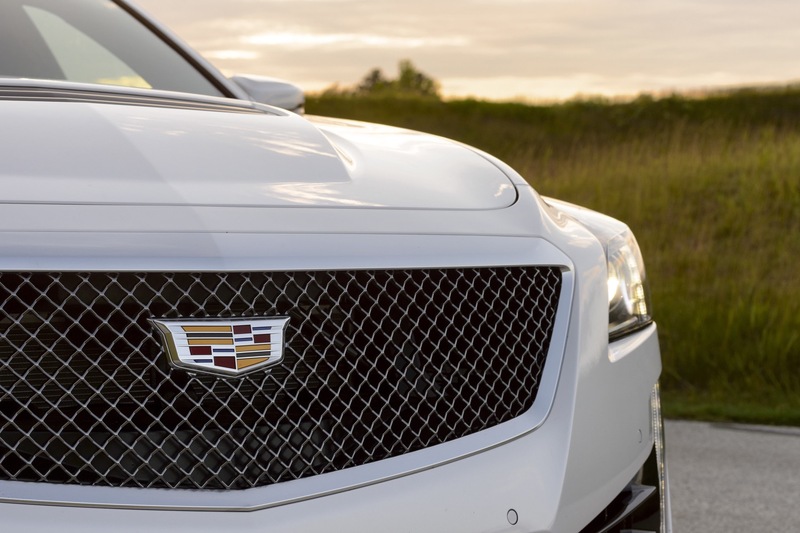 It is currently unclear whether Cadillac will introduce two-door coupe, two-door convertible, or five-door wagon variants of the third-generation CTS. If it does, then high-performance V variants of each body variant are likely. 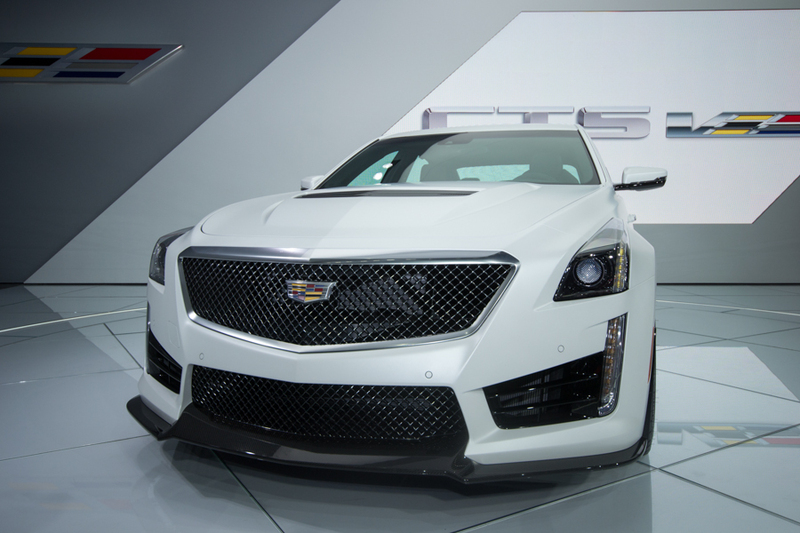 With the kids of performance the new CTS-V is capable of delivering, the cabin needs to be just as functional as the other vehicle systems. 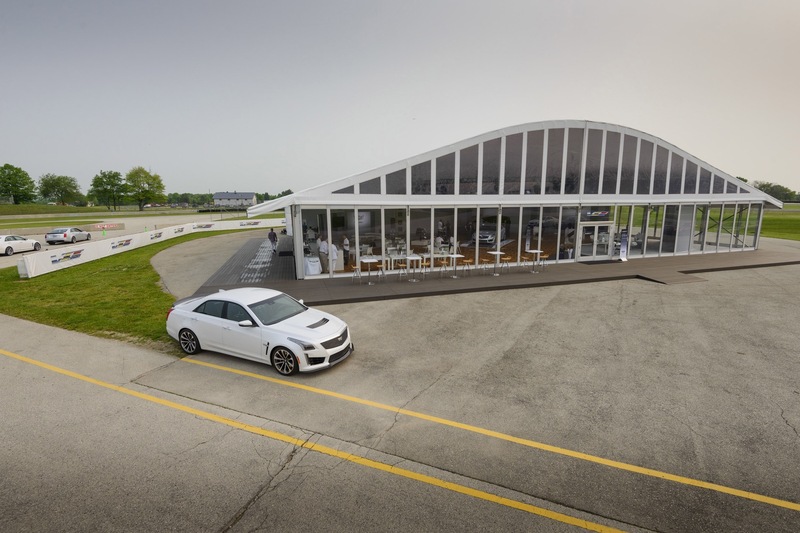 As such, “all of the contact points – the steering wheel, seats, shifter and pedals – are designed to make performance driving experiences direct and intuitive”, said Andrew Smith, executive director, Cadillac Global Design. 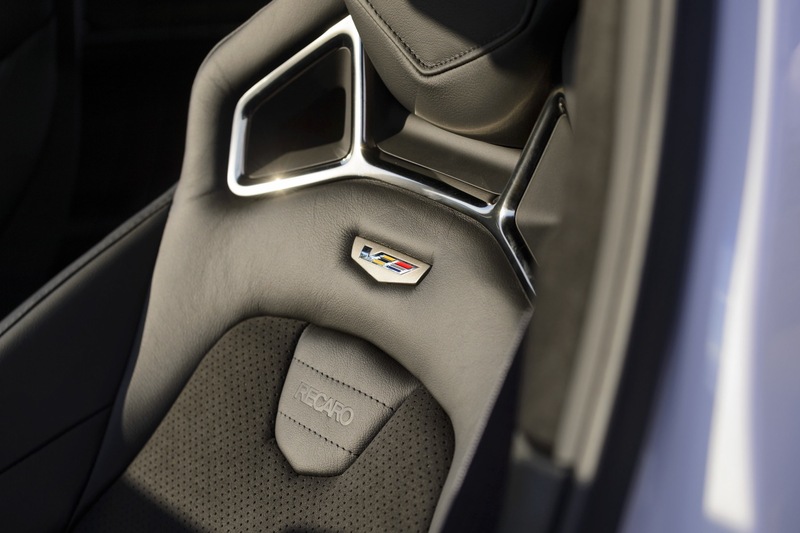 The rest of the interior features Cadillac’s handcrafted cut-and-sew elements, with decorative stitching and authentic materials, including an available sueded steering wheel and shift knob. 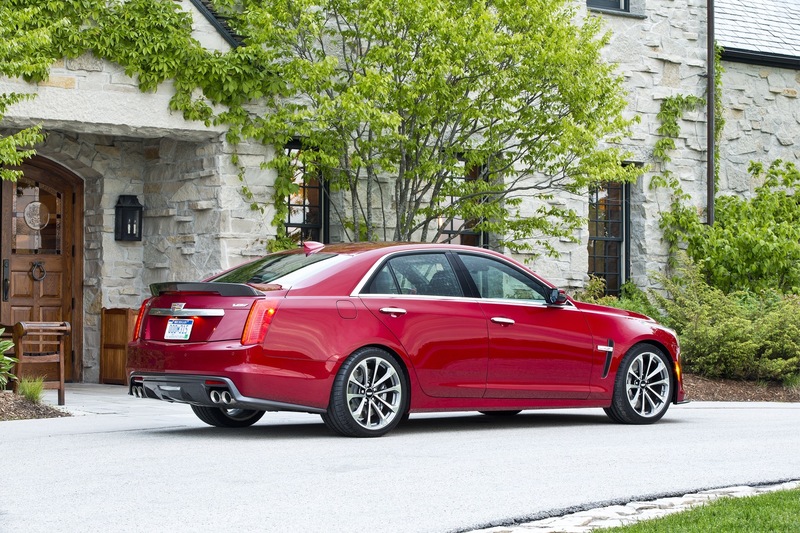 Technology makes life with the CTS-V more convenient. 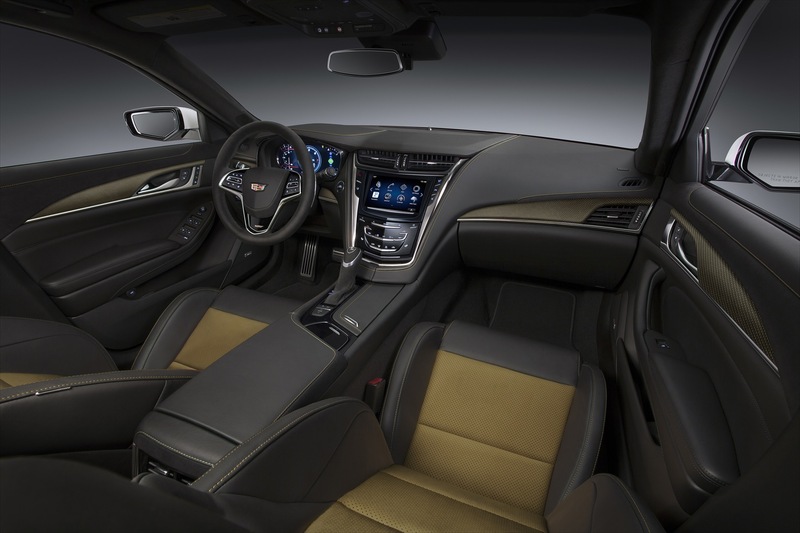 The 2016 CTS-V features a unique version of the high-definition, 12.3-inch instrument panel cluster display, with V-Series graphics and distinctive gauge readouts and complementing full-color head-up display. 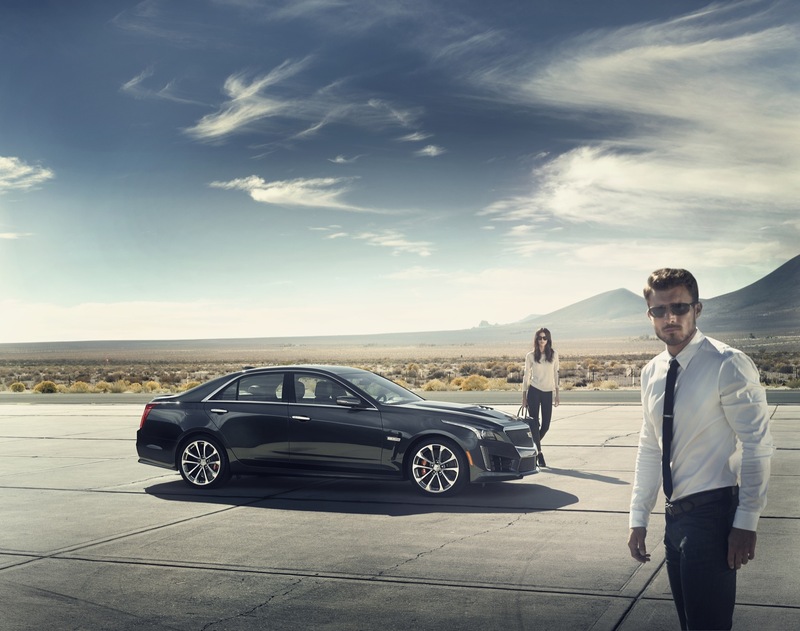 Cadillac CUE is the centerpiece of the CTS’ comprehensive collection of technologies designed to enhance the driving experience and complement customers’ increasingly connected lifestyles. Debuting in 2016 CTS models, Cadillac’s CUE system with an eight-inch-diagonal multi-touch screen is compatible with Apple CarPlay, a phone integration technology that puts iPhone features (iPhone 5 and later) on the display in a smart, simple manner. Many features can be controlled via voice commands through a steering wheel button, helping drivers spend more time with their eyes on the road and hands on the wheel. 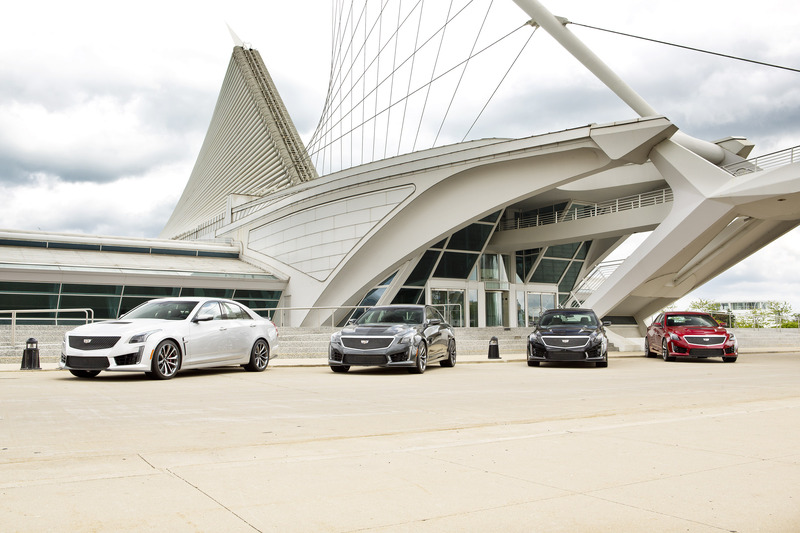 Complementing CUE to enhance the CTS’ connectivity is OnStar 4G LTE connectivity with Wi-Fi hotspot. It provides a mobile hub for drivers and passengers to stay connected. The hotspot is on whenever the vehicle is on and comes with a three-month/three-gigabyte data trial. 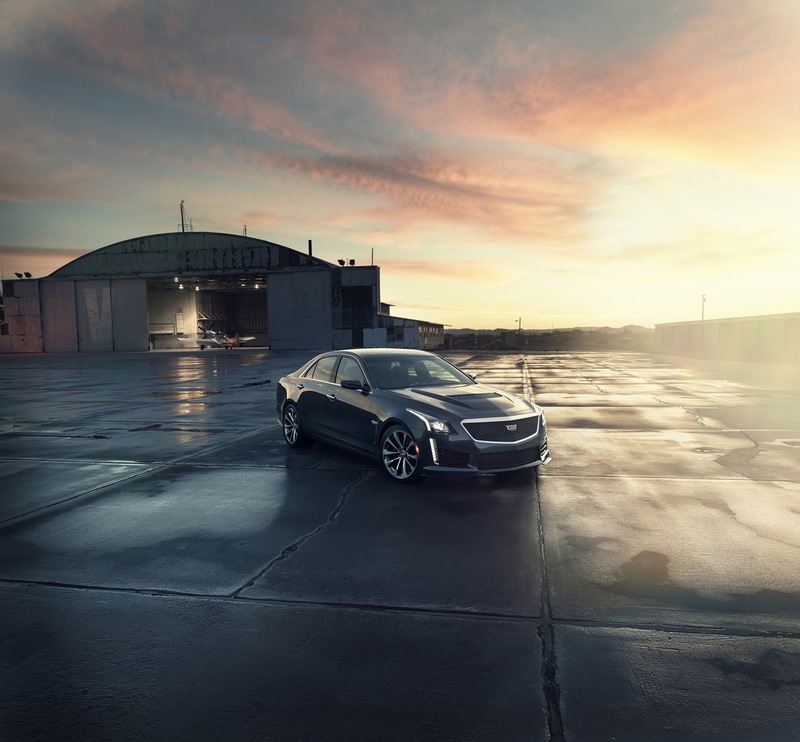 A 13-speaker Bose Centerpoint Surround Sound system with Active Noise Cancelation technology is standard on the CTS-V Sedan. 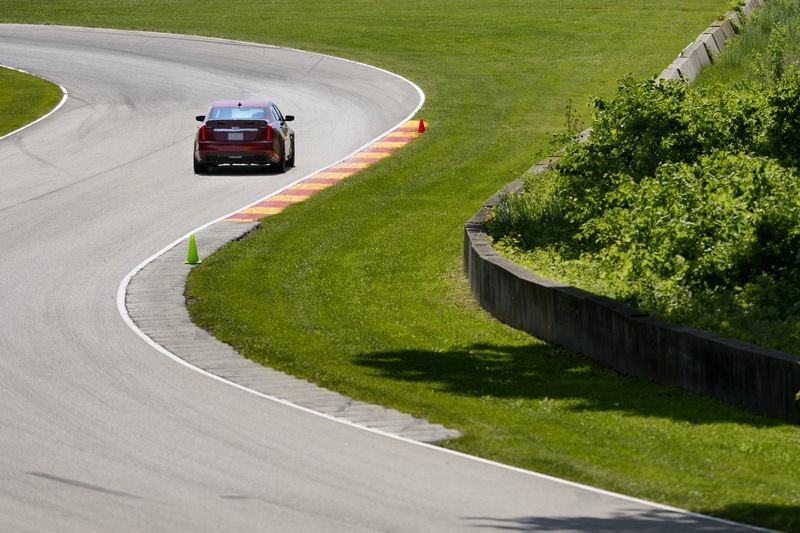 A Performance Data Recorder (PDR) onboard the CTS-V allows drivers to record high-definition video, with data overlays, of their driving experiences on and off the track, enabling sharing on social media. 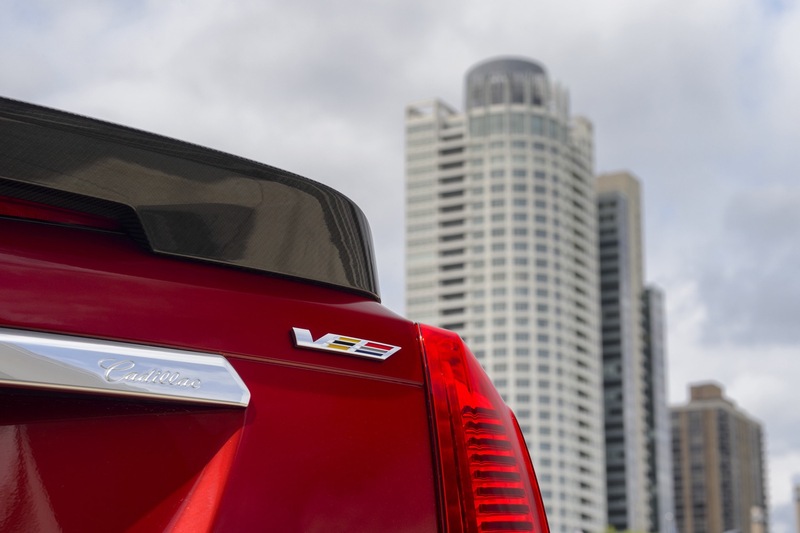 The 2016 CTS-V offers front and rear park assist, as well as Automatic Park Assist – which enables the car to park itself in parallel and perpendicular spaces. 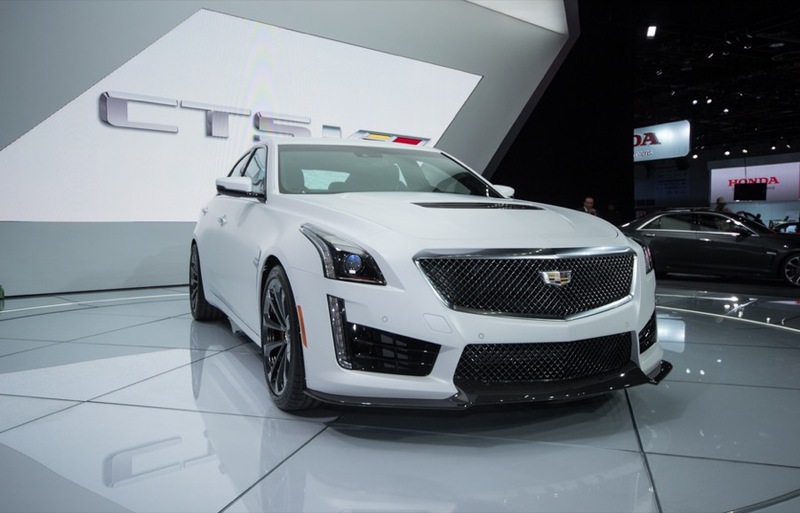 The available Curbview Camera provides a view of the lower-front of the CTS-V to help protect the front splitter when parking. 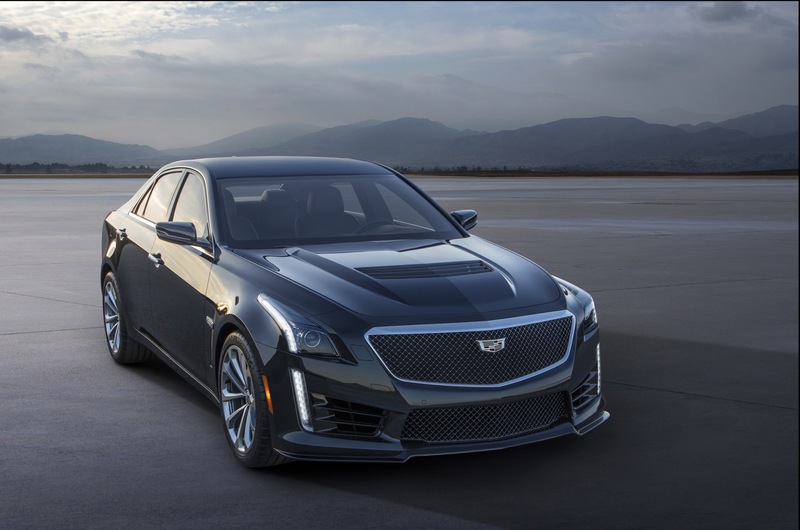 The power behind the new CTS-V’s capability is the all-new 6.2L supercharged V8 LT4 engine that makes more power and is more efficient than the 6.2L supercharged V8 LSA engine in the last-generation CTS-V. 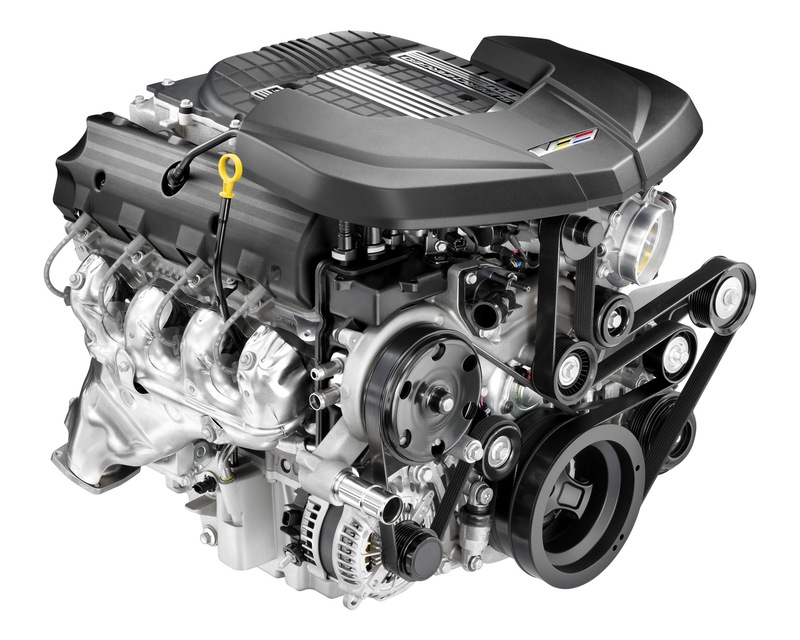 The new LT4 makes 640 horsepower and 630 pound-feet of torque. It employs a more-efficient, more-compact 1.7L supercharger and matches it with direct injection and Active Fuel Management (cylinder deactivation). The supercharger’s rotors are smaller in diameter than the LSA, allowing higher maximum rpm – and quicker “spin up” that enables power-enhancing boost to be generated earlier in the rpm band. 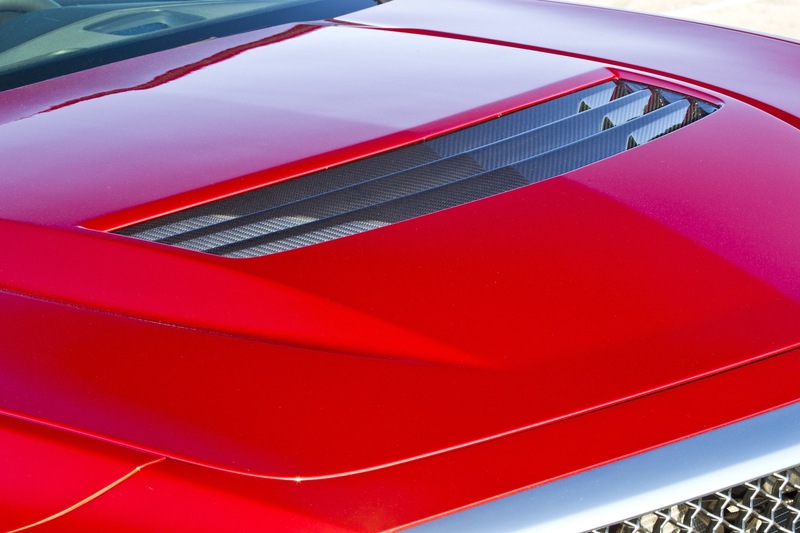 That boost is achieved more efficiently via a more direct discharge port that creates less turbulence, reducing heat and speeding airflow into the engine. 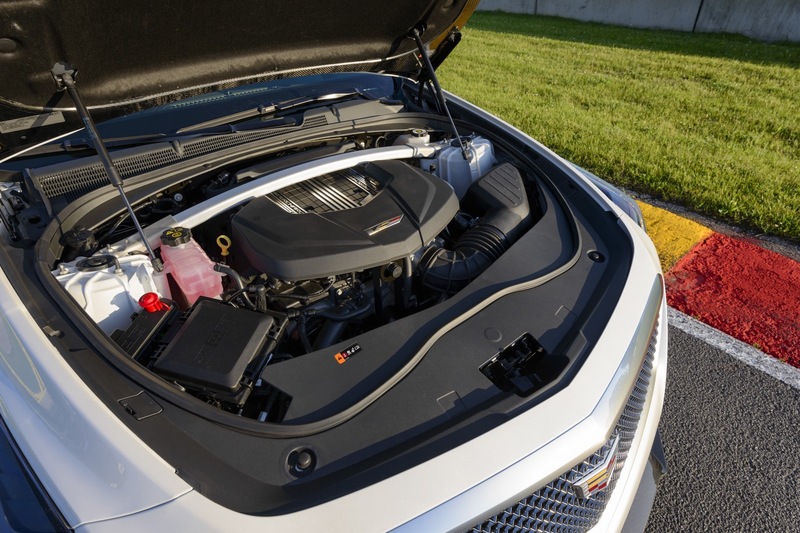 The Cadillac supercharged engine also has several unique features designed to support its high output and the greater cylinder pressures created by forced induction, including Rotocast A356T6 aluminum cylinder heads that are stronger and handle heat better than conventional aluminum heads, as well as lightweight titanium intake valves. Complementing the 6.2L supercharged V8 LT4 is the new 8L90 eight-speed automatic transmission tuned for world-class shift-response times. In addition, smaller steps between gears keep the engine within the sweet spot of the rpm band, making the most of the output of the supercharged engine for exhilarating performance and greater efficiency. The new 8L90 transmission offers full manual control via steering wheel paddles as well as Performance Algorithm Shifting to deliver shift performance that rivals the dual-clutch/semi-automatic transmissions found in many luxury performance sedans, but with the smoothness and refinement that come with a conventional automatic fitted with a torque converter. 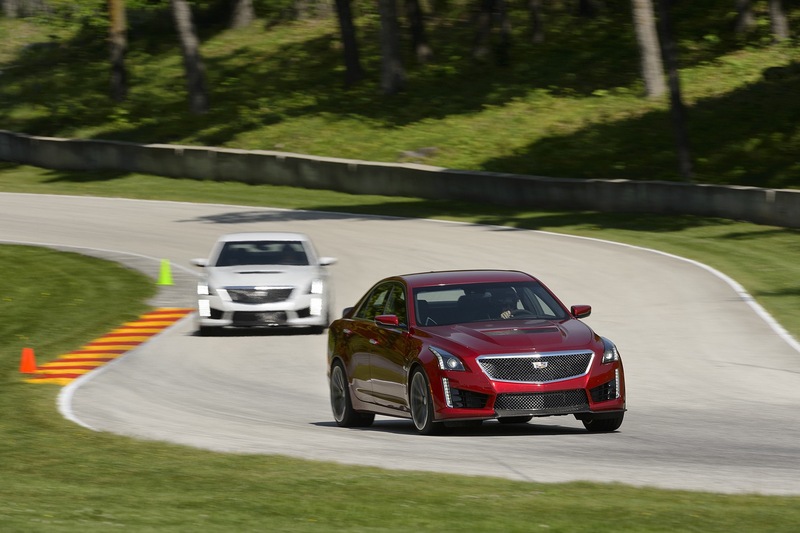 Unlike the first- and second-generation CTS-V, the 2016 CTS-V will not offer a manual transmission. The CTS’s structure is already highly mass optimized and designed to meet higher performance requirements. 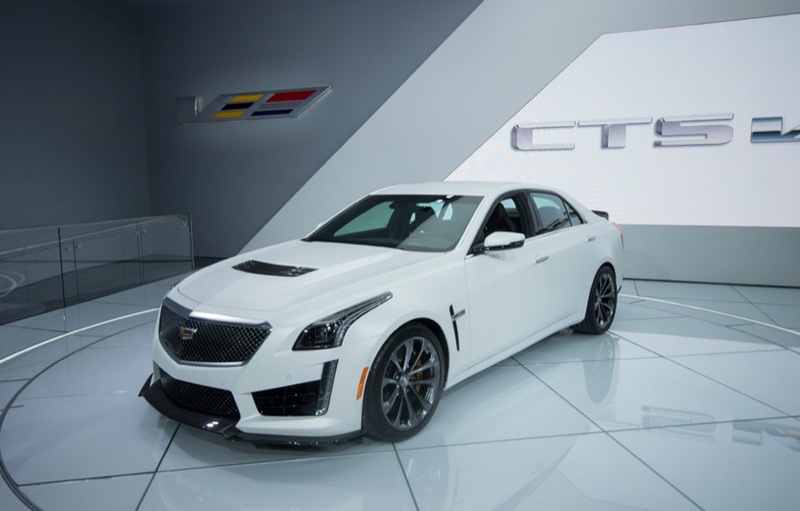 However, the structure is enhanced even further for the CTS-V to enable it to respond to cornering and torque loads that go significantly beyond the levels experienced by the non-V models. The enhancements contribute nearly 20-percent greater structural stiffness than non-V models, more precise handling and more direct steering responsiveness. 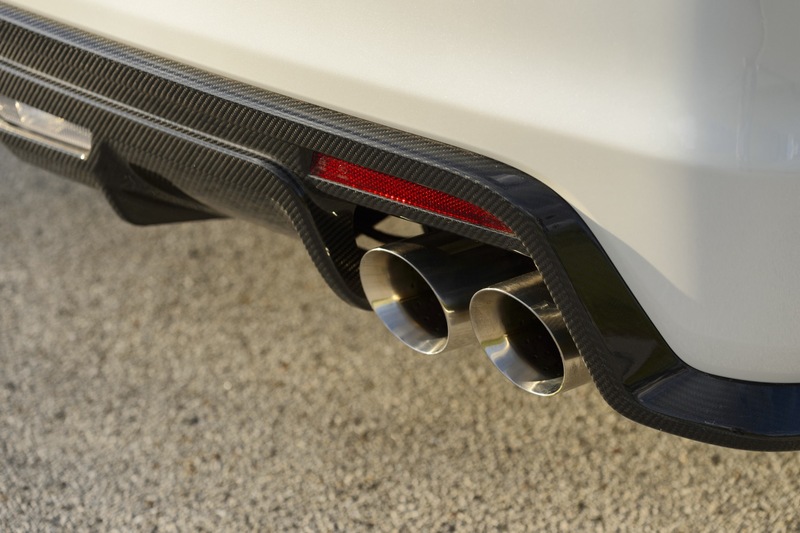 The result is a more confident feel from a vehicle that conveys strength through exceptional solidity. 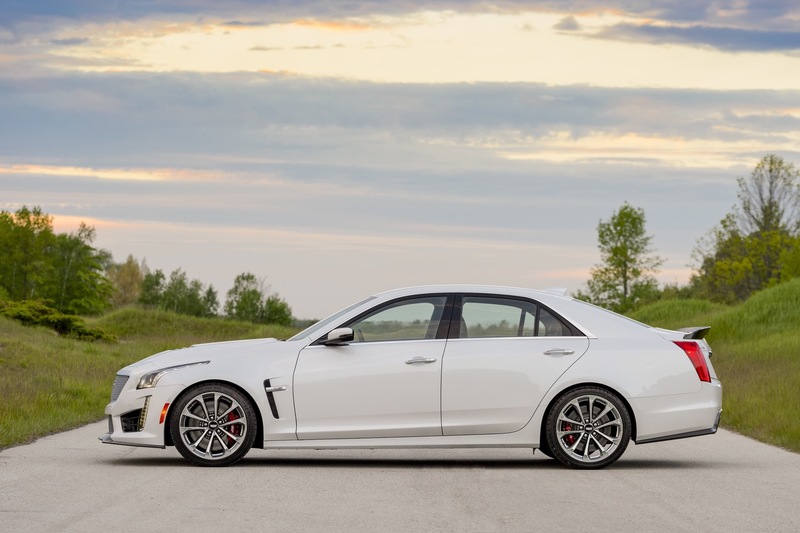 The CTS-V shares the same 114.6-inch (2,910 mm) wheelbase as the CTS non-V-Series models, but features wider front and rear footprints that enhance grip, reduce body motion in turns and contribute to more direct-feeling steering. 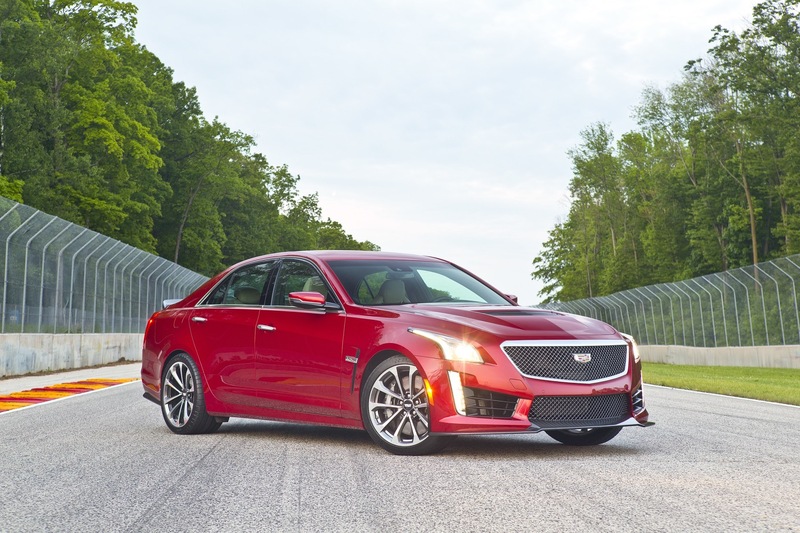 Nineteen-inch wheels wrapped with specially-developed Michelin Pilot Super Sport tires give the CTS-V its footprint and enable nearly 1g in lateral acceleration. The lightweight, forged aluminum wheels – measuring 9.5 inches wide in the front and 10 inches wide in the rear – are constructed of a low-mass forging that helps reduce un-sprung weight for greater agility and a more direct feel to steering inputs. 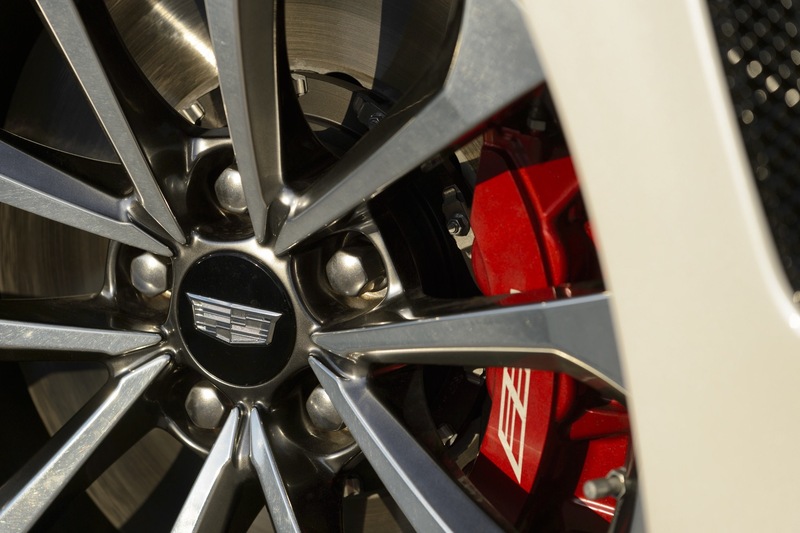 In fact, the wheels are 45-percent stiffer than previous CTS-V wheels, while the Michelin tires feature a tri-compound tread that delivers excellent grip in performance driving situations, but delivers excellent ride quality characteristics and extended tread wear. 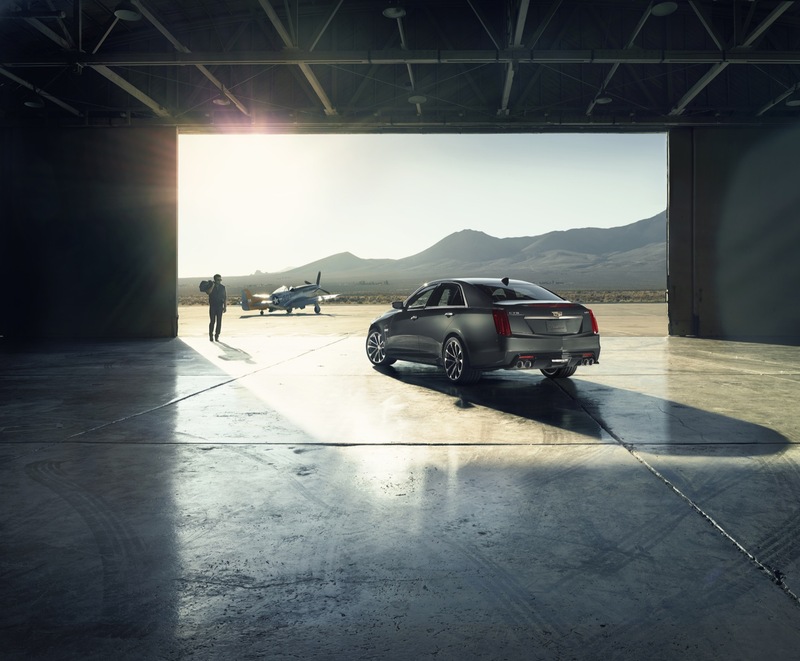 Th 2016 CTS-V features the third-generation Magnetic Ride Control and Performance Traction Management. Five driver-selectable modes include the segment’s only competition-level settings for stability and traction control for improved and consistent cornering performance. 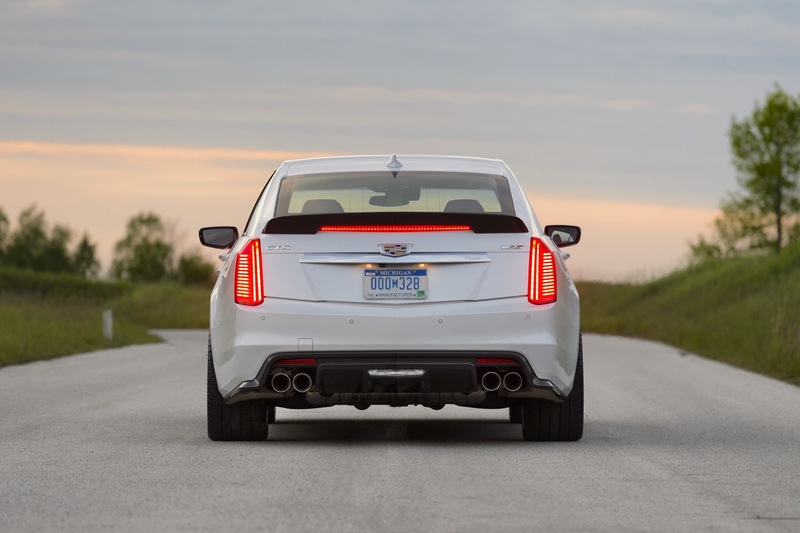 The 2016 Cadillac CTS-V is offered in one well-equipped trim level called “Standard”. 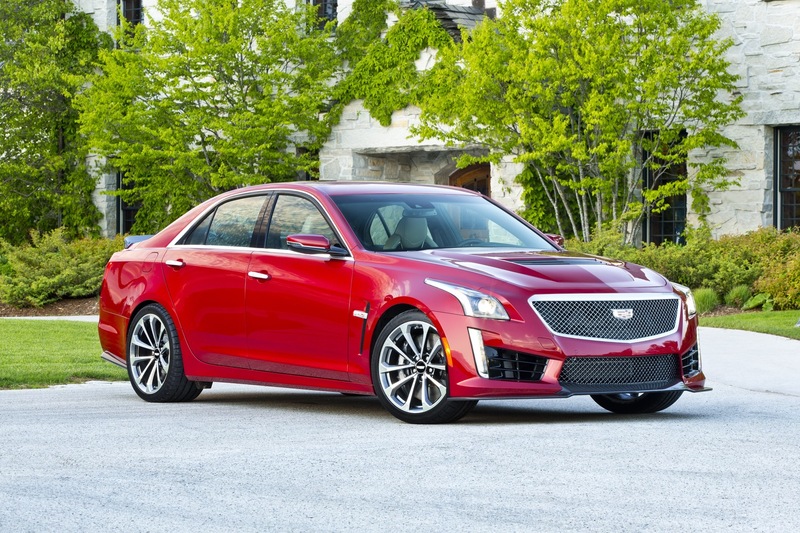 The 2016 CTS-V Sedan has a starting MSRP of $83,995 and tops out at $102,630. 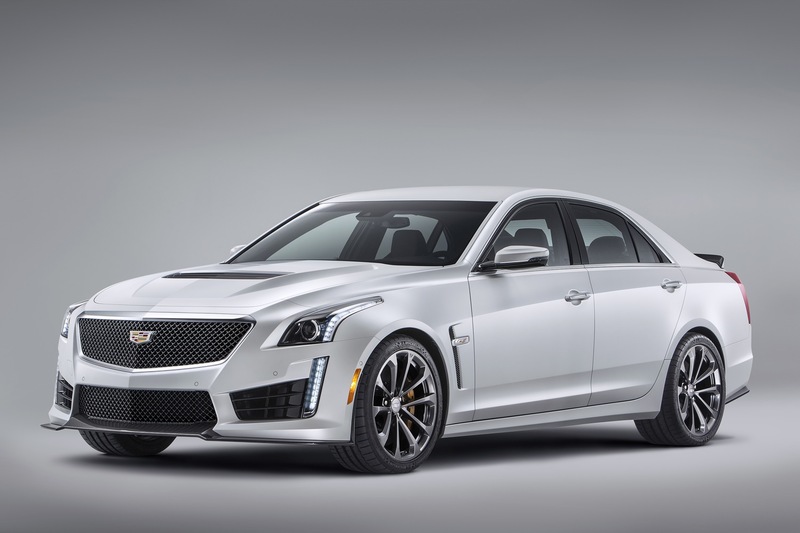 2016 Cadillac CTS-V order guide. 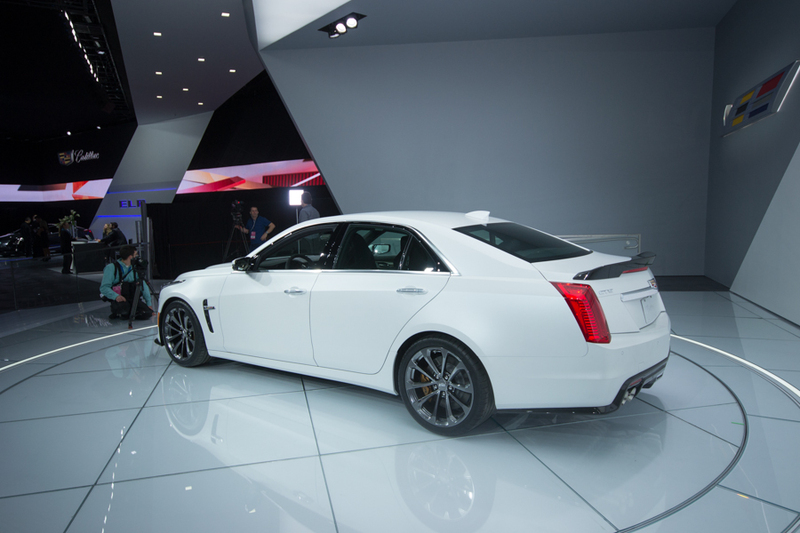 Cadillac unveiled the 2016 CTS-V at the 2015 North American International Auto Show in Detroit in January 2015. 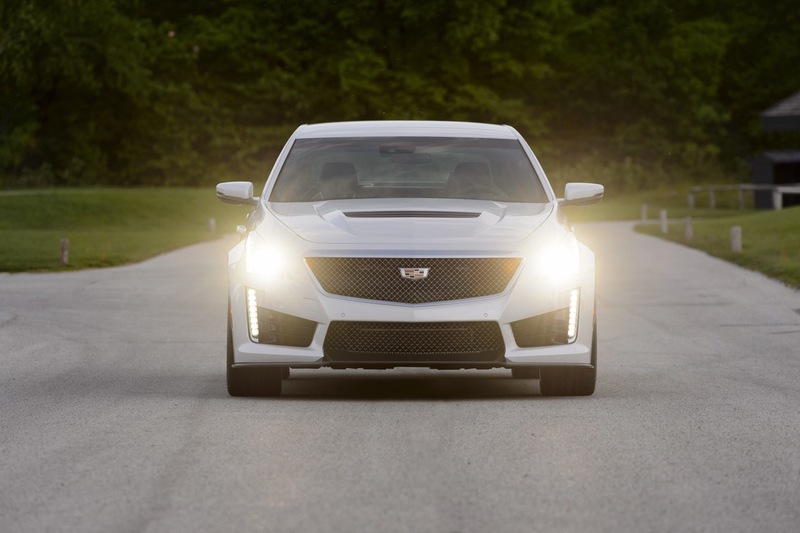 The 2016 Cadillac CTS-V Sedan began arriving on dealer lots in the fourth quarter of 2015. 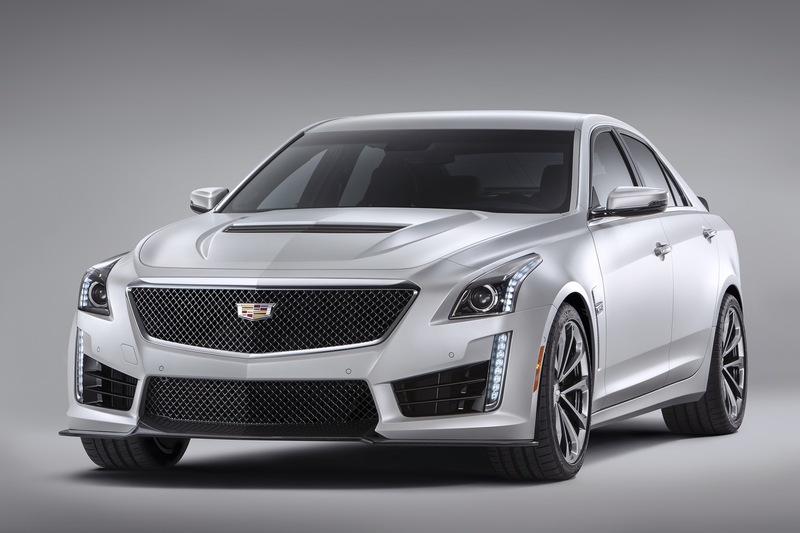 On October 16th, 2015, Cadillac announced that it is celebrating the launch of its 2016 model year V-Series family with exclusive, limited-production Crystal White Frost Editions. 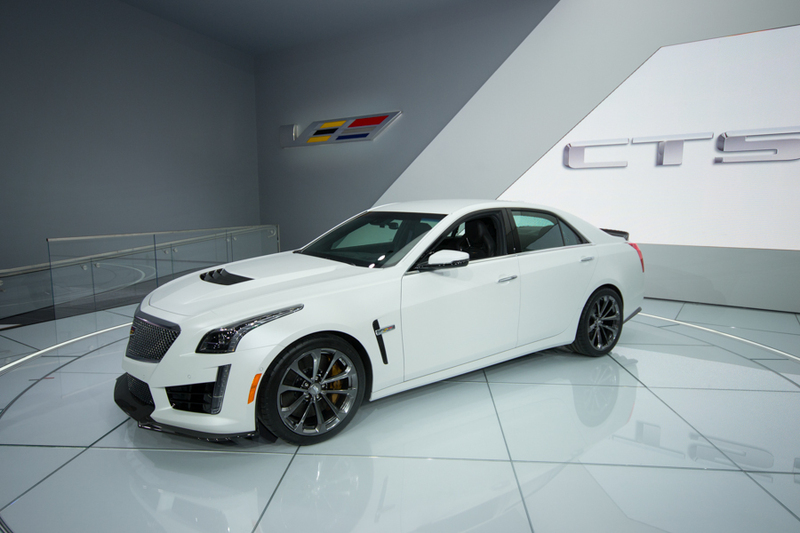 The CTS-V Crystal White Frost edition includes select V-Series wheels and Carbon Fiber and Luxury packages that are optional on the “regular” (non-Crystal White Frost Editions) V-Series models. 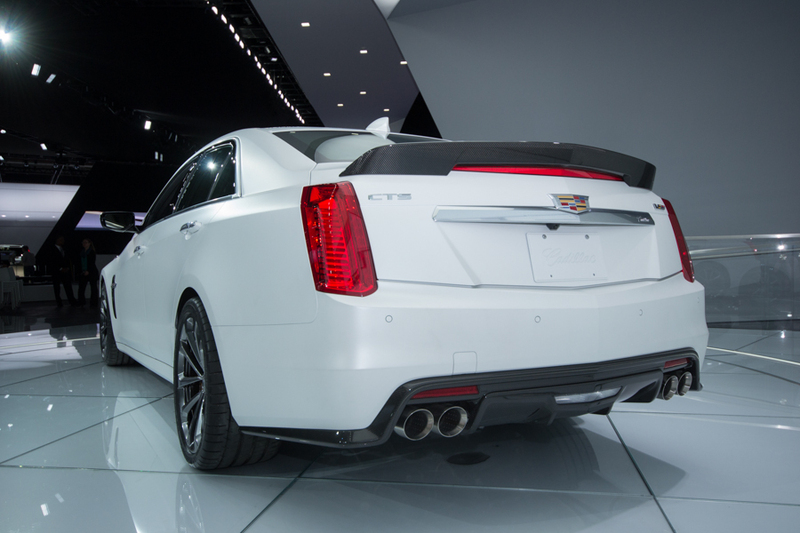 See complete information on the 2016 CTS-V Crystal White Frost Edition.